Home, garden ads in Sydney. Thank you for visiting our free advertising website Home, garden, Sydney section. We provide high response free classifieds and free advertisement. Use our online free Home, garden classifieds placement system to find, list, offer Home, garden online! MAKITA 6095D Power Tool Battery Replacement Type: Ni-MH Volt: 9.6V Capacity: 3000mAh Color: Grey Weight: 545g Dimension: 181.60x48.40x29.40mm Please go to buy this battery now http://www.drillbattery.com.au/buybattery.php/makita_6095D_power+tool+battery.html Inquiry: info@drillbattery. Brand New Cordless Drill Battery for DEWALT DE9502 Type: Ni-MH Volt: 14.4V Capacity: 3000mAh Color: Yellow Weight: 965g Dimension: 113.80x80.80x108.20mm Please go to buy this battery now http://www.drillbattery.com.au/buybattery.php/dewalt_DE9502_power+tool+battery. BOSCH 2 607 336 170 Power Tool Battery Replacement Brand New Cordless Drill Battery for BOSCH 2 607 336 170 Battery Type: Li-ion Volt: 18V Capacity: 1400mAh Color: Black Weight: 386.65g Dimension: 113.60 x 74.65 x 40.55mm Replacement BOSCH 2 607 336 170 battery pack 100% compatible with the original 2 607 336 170 battery, high quality, wholesale price. HITACHI EB 1430H Power Tool Battery Replacement Type: Ni-MH Volt: 14.4V Capacity: 3000mAh Color: Grey Weight: 955g Dimension: 101.20 x76.34 x106.26mm Please go to buy this battery now http://www.drillbattery.com.au/buybattery.php/hitachi_EB+1430H_power+tool+battery. Brand New Cordless Drill Battery for RYOBI ABP1803 Type: Ni-MH Volt: 18V Capacity: 3000mAh Color: Black Weight: 1190.7g Dimension: 136.00x78.00x108mm Please go to buy this battery now http://www.drillbattery.com.au/buybattery.php/ryobi_ABP1803_power+tool+battery. FIRESTORM FS18BX Power Tool Battery Replacement Type: Ni-Cd Volt: 18V Capacity: 2000mAh Color: black Weight: 837.6g Dimension: 142.19 x 78.61 x 51.97mm Please go to buy this battery now http://www.drill-battery-au.com/batterypack.php/firestorm_FS18BX_drill+battery. Brand New Cordless Drill Battery for MILWAUKEE M18 Type: Li-ion Volt: 18V Capacity: 4000mAh Color: Black Weight: 890g Dimension: 141.15 x 78.00 x 65.95mm Please go to buy this battery on http://www.drillbattery.com.au/buybattery.php/milwaukee_M18_power+tool+battery. Brand New Cordless Drill Battery for PASLODE 902654 Type: Li-ion Volt: 7.4V Capacity: 1500mAh Color: Black Weight: 130.35g Dimension: 80.00 x 45.30 x 35.75mm Please go to buy this battery on http://www.drillbattery.com.au/buybattery.php/paslode_902654_power+tool+battery. Brand New Cordless Drill Battery for BLACK & DECKER BL1518 Type: Li-ion Volt: 18V Capacity: 1500mAh Color: Black Weight: 420g Dimension: 123.10 x 79.15 x 57.00mm Please go to buy this battery on http://www.drillbattery.com.au/buybattery.php/black+&+decker_BL1518_power+tool+battery. Brand New Cordless Drill Battery for METABO 6.25439 Type: Li-ion Volt: 10.8V Capacity: 1500mAh Color: Black Weight: 227.1g Dimension: 61.45 x 49.70 x 84.45mm Please go to buy this battery on http://www.drillbattery.com.au/buybattery.php/metabo_6.25439_power+tool+battery. Brand New Cordless Drill Battery for RYOBI RB18L40 Type: Li-ion Volt: 18V Capacity: 4000mAh Color: Gray Weight: 781.5g Dimension: 135.70 x 76.00 x 107.30mm Please go to buy this battery on http://www.drillbattery.com.au/buybattery.php/ryobi_RB18L40_power+tool+battery. AEG L1215R Power Tool Battery Replacement Type: Li-ion Volt: 12V Capacity: 1500mAh Color: Black Weight: 177.25g Dimension: 51.15x46.90x87.85mm Please go to buy this battery on http://www.drillbattery.com.au/buybattery.php/aeg_L1215R_power+tool+battery.html Inquiry: info@drillbattery. Brand New Cordless Drill Battery for PANASONIC EY9L40 Type: Li-ion Volt: 14.4V Capacity: 3000mAh Color: Black Weight: 1012g Dimension: 128.6 x 71.3 x 43.8mm Please go to buy this battery on http://www.drillbattery.com.au/buybattery.php/panasonic_EY9L40_power+tool+battery. Brand New Cordless Drill Battery for HITACHI BSL 1430 Type: Li-ion Volt: 14.4V Capacity: 3000mAh Color: Black Weight: 516.8g Dimension: 96.30 x 74.30 x 67.50mm Please go to buy this battery on http://www.drillbattery.com.au/buybattery.php/hitachi_BSL+1430_power+tool+battery. Brand New Cordless Drill Battery for DEWALT DCB204 Type: Li-ion Volt: 18V Capacity: 4000mAh Color: Yellow Weight: 1220g Dimension: 130 x 93.4 x 83mm Please go to buy this battery on http://www.drillbattery.com.au/buybattery.php/dewalt_DCB204_power+tool+battery. Brand New Cordless Drill Battery for MAKITA BL1013 Type: Li-ion Volt: 10.8V Capacity: 1500mAh Color: Black Weight: 166g Dimension: 50.75 x 50.20 x 77.80mm Please go to buy this battery on http://www.drillbattery.com.au/buybattery.php/makita_BL1013_power+tool+battery. Brand New Cordless Drill Battery for BOSCH BAT618 Type: Li-ion Volt: 18V Capacity: 3000mAh Color: Black Weight: 611.75g Dimension: 113.60 x 74.65 x 59.75mm Please go to buy this battery on http://www.drillbattery.com.au/buybattery.php/bosch_BAT618_power+tool+battery. RYOBI BPS-2400 Power Tool Battery Replacement Type: Ni-MH Volt: 24V Capacity: 2200mAh Color: Grey Weight: 1495g Dimension: 185.71x165.36x148.79mm Please go to order this battery now http://www.drillbattery.com.au/buybattery.php/ryobi_BPS-2400_power+tool+battery. METABO 6.00190.52 Power Tool Battery Replacement Type: Li-ion Volt: 25.2V Capacity: 3000mAh Color: Black Weight: 1046.9g Dimension: 155.1 x 97.15 x 74.85mm Please go to buy this battery now http://www.drillbattery.com.au/buybattery.php/metabo_6.00190.52_power+tool+battery. Brand New Cordless Drill Battery for CRAFTSMAN 315.11033 Type: Ni-MH Volt: 14.4V Capacity: 3000mAh Color: Grey Weight: 882g Dimension: 130.08x82.02x75.63mm Please go to buy this battery now http://www.drill-battery-au.com/batterypack.php/craftsman_315.11033_drill+battery. 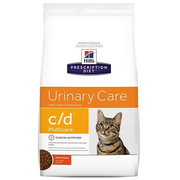 Buy Hill's Prescription Diet C/D Multicare Urinary Care With Chicken Dry Cat Food Shop online with VetSupply today. Hill's nutritionists & veterinarians developed Prescription Diet c/d Multicare clinical nutrition specially formulated to support your cat's urinary health. More info: https://www.vetsupply. Elka Imports is 100% Australia owned and has been trading for 25 over years. We offer a complete range of paper products, garbage bags, gloves, wipes and dispensers to provide you with a one stop solution. Elka imports have a great range of paper products that includes paper towels, toilet paper tissues and hand towels at wholesale price. Pink Frosting is a complete party shop in Sydney that makes your event and party planning as simple and as easy as possible. We put it all together with minimum stress for you and maximum uniqueness. For details contact on +610251007567 or write an email to info@pinkfrosting.com.au. We provide Australia wide shipping. We are importers of High quality travertine, marble, granite, porceline and limestone tiles and pavers and are now selling to the public at wholesale priceWe are importers of High quality travertine, marble, granite, porceline and limestone tiles and pavers and are now selling to the public at wholesale price. Dyson V6 Vacuum Cleaner Battery Replacement Type: Li-ion Volt: 21.6V Capacity: 2000mAh Color: Gray Weight: 416.0g Dimension: 32.5 x 19.3 x 22.9 inches Please go to buy this battery on http://www.drillbattery.com.au/orderbattery.php/dyson_V6_battery.html Inquiry: info@drillbattery. MILWAUKEE M18B Power Tool Battery Replacement Type: Li-ion Volt: 18V Capacity: 3000mAh Color: Black Weight: 720g Dimension: 141.15 x 78.00 x 65.95mm Please go to buy this battery now http://www.drillbattery.com.au/buybattery.php/milwaukee_M18B_power+tool+battery. Brand New Vacuum Cleaner Battery for Dyson DC35 Series Type: Li-ion Volt: 22.2V Capacity: 2000mAh Color: Black Weight: 416.0g Dimension: 119.00 x 73.00 x 64.00mm Please go to buy this battery on http://www.drillbattery.com.au/orderbattery.php/dyson_DC35_battery. Brand New Vacuum Cleaner Battery for Dyson DC16 Type: Li-ion Volt: 21.6V Capacity: 2000mAh Color: Black Weight: 800g Dimension: 140 x 70 x 30mm Please go to buy this battery on http://www.drillbattery.com.au/orderbattery.php/dyson_DC16_battery.html. 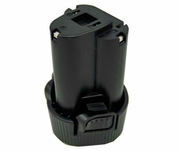 Brand New Cordless Drill Battery for BOSCH BAT618 Type: Li-ion Volt: 18V Capacity: 4000mAh Color: Black Weight: 1012g Dimension: 113.60x74.65x63.27mm Please go to buy this battery on http://www.drillbattery.com.au/buybattery.php/bosch_BAT618_power+tool+battery. Australia free ads for Home, garden, Sydney, Home, garden free ads Sydney, Home, garden for sale Sydney, Home, garden to buy in Sydney. Find on this page free classifieds for Home, garden in Sydney. This listing includes classifieds for sale and to buy in Sydney. FREEADSAustralia Sydney offers you a platform to post free advertisements or classifieds for Home, garden in Sydney. FREEADSAustralia helps you search, find buy, sell, rent or hire in various categories like apartments, goods for sale, local services, cars , jobs and many more in Sydney. If you posted an advertisement in category Home, garden of FREEADSAustralia Sydney before please use Edit my ads button to change or cancel your ad. Home, garden Sydney ads Sydney, Home, garden classifieds Sydney, Home, garden free ads Sydney, ads for sale Sydney, ads to buy Sydney, FREEADSAustralia Page number 5-1. Find here ads for sale, to buy and rent in Sydney. Goods for sale in Sydney, vehicles for sale in Sydney, Sydney real estate for sale, Sydney property for sale, property for rent in Sydney, business ads in Sydney, Sydney business classifieds, services in Sydney, Sydney services ads, jobs in Sydney, pets for sale in Sydney, Sydney dating, Sydney cars for sale.